In October in Italy following the EXPOdetergo show in Milan, TRSA will present its latest European Laundry Tour. Participants will trek from the show through Verona to Florence, enjoying a total of five nights in those two cities and visiting nine linen, uniform and facility services laundries. 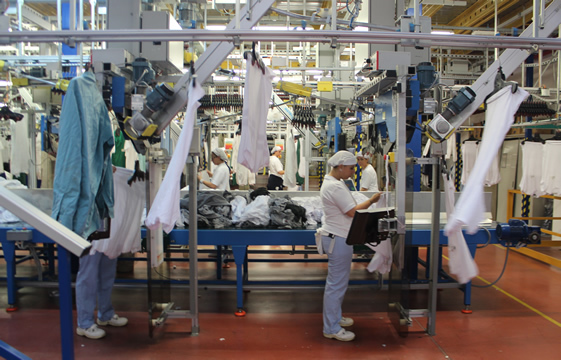 Participants have praised the European Laundry Tour series for the opportunity to view the industry in contrasting social, economic and geographic settings, which gives them new perspectives on their own everyday surroundings. Some plants display high-efficiency equipment, providing a view of the latest technologies. Others reflect admirable low-tech ingenuity in meeting the local demand for clean reusable textiles. This year’s event begins Sunday, Oct. 21, with an evening reception at the show. This world-leading exhibition dedicated to machinery, technology and other products and services for laundries takes place every four years. Attendees will stay in their EXPOdetergo hotels Sunday evening. The tour departs the following morning for Verona, where participants will be based for two nights. Two plants will be visited Monday on the way there and a Tuesday excursion will cover two more. On Wednesday, the tour departs Verona for Florence, stopping at two facilities along the way. Excursions on Thursday (two more plants) and Friday (one plant) will bring attendees back to Florence. The tour ends Friday afternoon. Facilities to be visited include specialists in food and beverage (F&B), healthcare and hospitality accounts as well as generalists who handle more than one of these as well as industrial. Dinners and happy hours are also part of the agenda. This is the second TRSA European Laundry Tour accompanying EXPOdetergo; the first took place in 2014. In n 2016 in Belgium, a TRSA tour preceded the World Textile Services Conference in Bruges. Earlier that year, a TRSA group visited German plants following the Texcare exhibition in Frankfurt, Germany. In 2015, a London-based tour took place.